Janam Kundli is like an archive that contains literally every valuable piece of information about a person that there is to know. It’s like taking a peek into the future by virtue of one’s personality and actions. 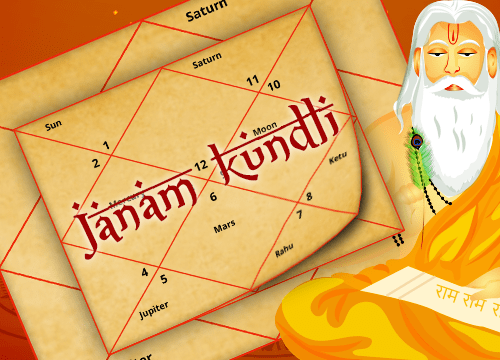 Free Janam Kundli is Astrology’s gift to mankind. 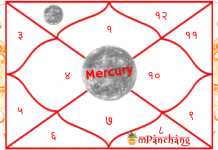 Technically, a Janam Kundli is a birth chart that contains every planetary position at the time of birth of a human being, and based on this planetary account, is the complete roadmap to the person’s life. In popular culture, Janam Kundli is often regarded as a tool to gain insights into all the life aspects. Also, it is the first thing that parents gift their newborn child. For Hindus, Kundli is a compulsory thing to have. It provides significant information related to how the baby would grow up to become, or if there are certain circumstances that require preparedness. Other than that, there are plenty of additional advantages that are mentioned in the subsequent section. How a Janam Kundli Works? Kundali or Janam Patrika is based on time and place of birth so it’s a great tool for horoscope and astrology predictions. These predictions are based on the dynamic planetary positions and retrogrades. First House: The first house represents your character and health. It can help predict characteristic virtues and wellbeing. Second House: The second house is the house of wealth, it controls the financial stability. Third House: Third house is considered to be the house of siblings and it reflects on your relationship with your brothers and sisters. It also represents aspects like education and hobbies. Fourth House: This is the house of parenting. Represents motherhood, family and your social surroundings. Fifth House: This house is known for children ie., relationship with kids. The fifth house also represents a love affair. Sixth House: This house represents enemies and known as Ari Bhavan in Astrology. It also influences health and relationships. Seventh House: This is the house for your loved one. It represents marriage, sexual life and compatibility with your spouse. Eighth House: This is the house that holds you back. It represents death defeat and obstacles. Eight house is considered one of the most crucial houses in a Kundli. Ninth House: The ninth house is the place for fortune and spiritual inclination. You can predict your religious stance and how your fate turns out. Tenth House: Matters related to professional career and real estate are controlled by the tenth house. Eleventh House: The penultimate house is the house of fortune. Twelfth House: The twelfth house is known as the house of enlightenment. To be able to find answers to the unpredictability of life has always been one of the greatest desires of mankind. Kundli is a step forward in that direction. 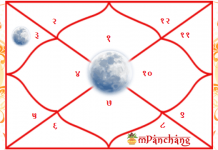 A Janam Kundli as per Vedic Astrology shows the path an ascendant is going to choose. It also reflects various personality traits such as likes, dislikes, emotional stance, spiritual inclination, values, etc. Much like the rewarding times, phases of life that can cause trouble can also be predicted through it. So that the native is prepared to face anything when the time comes. A Kundli can help in determining the fields that are most suited to the individual. This way the chances of attaining success gets even higher. Kundli plays an essential role in finding compatibility between two individuals. As, before marriage, Kundlis of both the natives are compared to check if their match would work or not. Crucial life aspects such as health, career, love, finance can be analyzed easily using Janam Kundli. Click here to get free Janam kundali prediction and free kundali matching report with an accurate online kundli software. 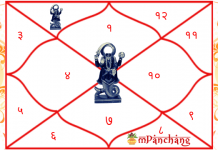 Next articleSaturn in the 10th House of the Kundli Chart – How it affects?